Although the name “polo pony” has become a misnomer over the years, the original American polo mount was limited to 14.2 hands in height by rules and was developed from the tough cutting horses of the western cowboy. Now, selected from some of the top thoroughbreds in the country, the polo mount displays the very finest qualities of the thoroughbred. Most players agree that the polo “pony” represents 70%-80% of a player’s game. Not restricted by breeding, the mounts are usually at least three-quarters thoroughbred or better. The characteristics of the thoroughbred, which make it so ideal for the game, are that it has more stamina, goes farther, faster, and has a better disposition for polo. Because the game is very hard on the “ponies”, they may gallop as much as three miles in each chukker, and the sudden stopping and turning imposes considerable strain-the polo player needs a string of mounts. No horse plays two successive chukkers, and each player rides at least three ponies in the course of a six-chukker match (in high-goal polo the players arrive at the field with no less than six horses apiece, and usually more, and change to a fresh mount after each chukker of play). No longer limited as to size, today’s average pony is from 15 hands (a hand is four inches, and the horse is measured from the withers) to as much as 16 hands, and will weigh between a thousand and eleven hundred pounds. The average age of the ponies is about nine years, but their playing life may last into their teens, depending on the level of polo that is played and the health of the horse. A string of polo ponies on their way to a game.Carefully trained for at least one year before playing polo, the ponies develop keenness and skill and show great cleverness in anticipating the run of the ball and in placing themselves at the best distance from it for the rider to make his stroke. The raw product recruited from western ranches, or the vast estancias of Argentina, are usually four to five years old and well broken. Compared to other animals, the polo pony is perhaps one of the finest trained animals in the world. The stamina of a polo pony can’t be compared. They carry up to 200 pounds-and sometimes more-they have to be pliable to their rider’s direction, stopping, turning when they are fully extended and have to have the endurance to stay at top speed for seven minutes, the length of a chukker. The care and feeding of these fine mounts is important. They must have the finest feed available, and they must be bedded down at night in a way that would be quite comfortable, even by human standards. The average polo pony works an average of five to ten miles every day, according to the number of games it has played. In high-goal polo most players carry at least 10 horses, whereas in lower goal competition, because the slower speed of play, not as many mounts are needed. With players placing such a premium on their horses, it is easy for the average spectator to understand why these highly trained mounts are so difficult to find. 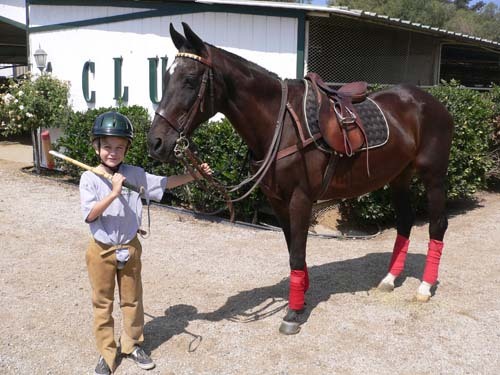 Without the polo pony, polo would be just another stick and ball game. 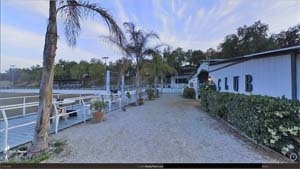 To learn more about polo please visit http://www.polo101.com.